Easy-to-use leg lifter strap helps you get a leg up on a bed, car floor, wheelchair foot rest and more. 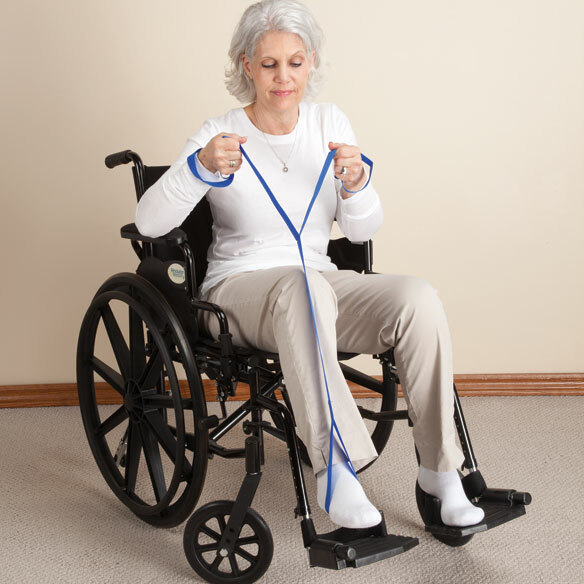 Perfect for anyone with limited lower extremity strength, this 43”L lift assist strap features a loop for your foot and 2 hand loops that comfortably secure around wrists for safe lifting. Lifting strap helps improve mobility and independence. Comfortable, safe and easy to use. Ideal after surgery or when managing lower body weakness. 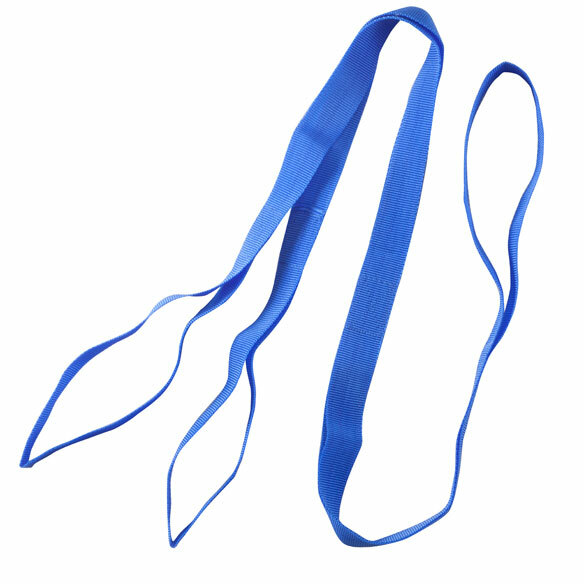 1”W high-strength nylon and polyester webbing. This product is a lifesaver ! This product provides allows for continued independence with that little extra help you need to lift your legs into bed. Just wish the delivery could be quicker. For a friend having difficulty raising legs into bed. Assist getting in and out of motor vehicles. I have diabetic neuropathy and sometimes cannot raise my leg high enough to get into a car. This eliminates the need to ask another person to lift my foot. I like to be as independent as possible. I am post hip replacement surgery and this will help me in moving that leg. I have been looking for a tool to use while helping my 94 year old Mother exercise her arms and stretching her feet. This item caught my attention because she also needs to be able to pick her feet up when getting into and out of bed. She is the independent soul but it really hurts her when she sees she just can't quite do everything. I want to help her accomplish some of the small things.